There now follows a public service infomercial for Copnosuphocate M.E. porcine repellent ointment. Have you ever found yourself short of breath? Have you noticed pressure on your neck and chest? 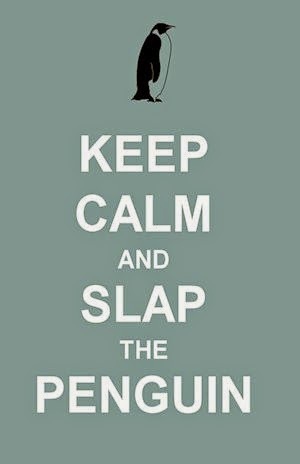 Do you find yourself suffering from a choking sensation? If you answered yes to any of these questions you could be suffering from COPD (Chronic Obstructive Pulmonary Disorder). However if you experience these symptoms during an arrest situation, it is more likely that you are suffering from NYPD. NYPD can brutally attack the respiratory system with little or no reason, and in extreme cases NYPD has been known to cause death. 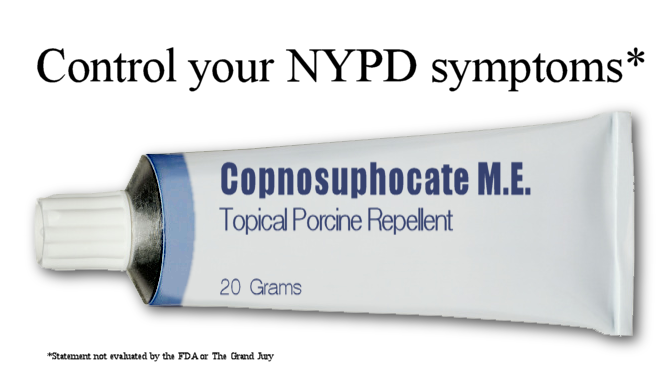 Ask your doctor about NYPD and using Copnosufocate M.E. to control your NYPD symptoms*.